Website copy: We write words that make website visitors want to stick around and buy stuff. Whether it’s a landing page to promote your book or the home page of your e-commerce site, engage your audience from that first click with copy that connects and converts. Blog posts: Whether you need one per month or 3 per week, we have a solution for you. Increase your website traffic and keep your readers coming back with valuable blog content. eBooks and Reports: These are great options for generating leads once they’re done right. Brochures and other marketing collateral: Whether you need brochures for your next big event or a sales letter for your next direct marketing campaign (yes, those are still a thing), once copywriting is involved we’ll get it done. Email Marketing: Not sure where to start with building an email list or what to send to your customers once you have a list? We can help you with that. Get engaging email copy and a goal-oriented email marketing campaign that provides results. Case Studies: You need case studies people actually want to read. Not the boring one or two-page pdf with a challenge and solution column that causes eyes to glaze over. Allow us to write something your prospects will enjoy reading. Content Marketing Strategy: Need some help with the bigger picture? Putting it all together? We’re great at that too! Well, that depends on what you need and how much work we have in progress at the time. A 400-600 word blog post can be done in 48 hours while a 5-page website can be written in 5-8 days. But ideally, a minimum of a week lead time is preferred. Let us know what you need and we’ll do our best to make it happen. We require a 50% deposit up front and the balance is due 7 days after the work is delivered. Once terms are agreed we will send you an invoice. We accept payments via PayPal and bank transfers. What if I don’t like what you write? Once the work is delivered we offer revisions until the copy is to your liking (bearing in mind what was originally requested). We take customer satisfaction very seriously and have never handed over final copy a customer didn’t like. Knock on wood. What if I’m not sure I need marketing help? If you’re wondering you probably do. As a rule of thumb, we only accept customers who have a product or service to offer. Brownie points if you know who you’re offering it to. Also, if you’re too busy to get it done yourself or have no clue how to do it, those are normally great indicators that you need marketing help. Can I get a discount if I bring in a large volume of work? That’s not an entirely horrible question. Except, no matter how much work you send our way it still requires a human member of our staff to deliver on each piece of work. In the spirit of goodwill though, we do offer discounts to clients who hire us on retainer for recurring tasks. So let’s discuss it. Can I do a trial run or get a sample? When we agree to work with you we will invest time in learning about your business. 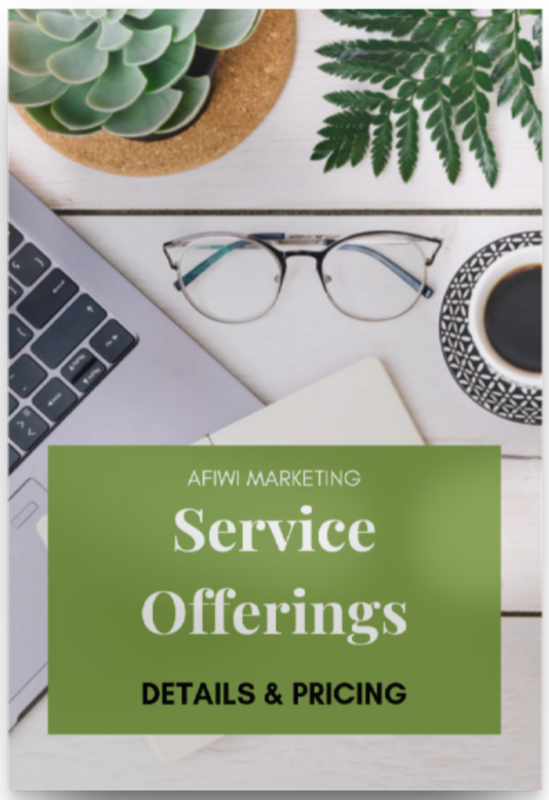 This is so we can position your offerings to your prospects as well as engage your customers effectively. The arrangement works best when both of us are invested – our knowledge and expertise; your payment and agreement to provide all the information we need.